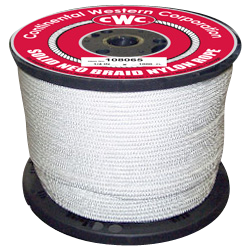 Neo Braid nylon cord. Strong but lightweight and soft. 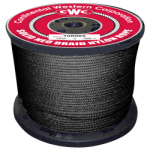 Shock-absorbing elasticity of cord allows it to withstand great strain. Among the most economic CWC cords and it boasts the highest stretch up to 12 percent. Built to resist rot mildew abrasions and most chemicals.